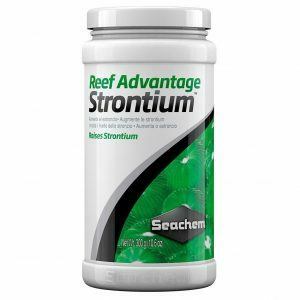 Reef Advantage Strontium restores and maintains strontium to levels found in natural seawater. 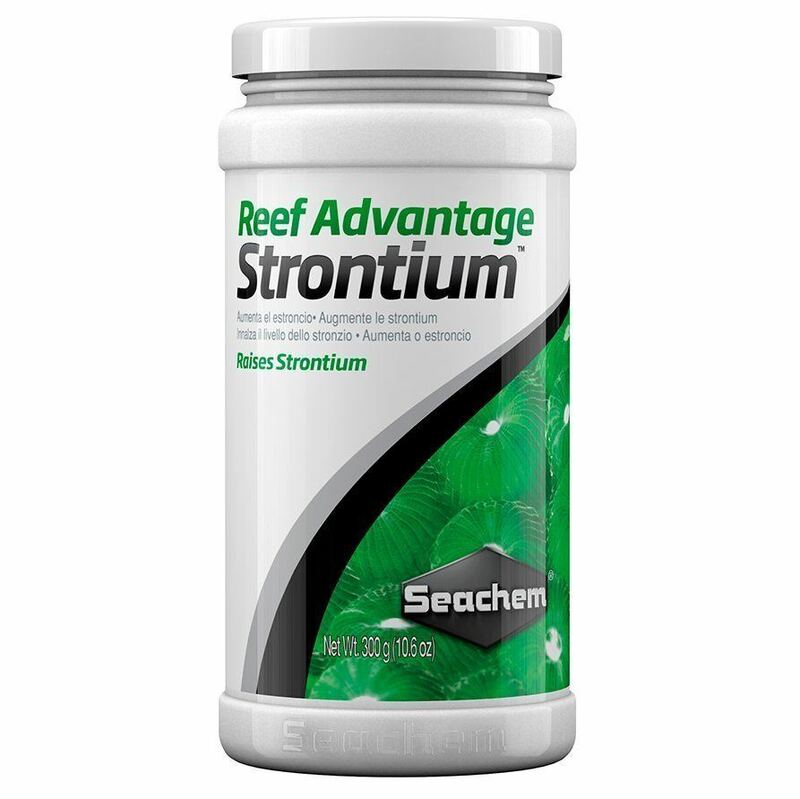 Strontium is utilized by corals in the same manner as calcium and holds a similar importance in maintaining a vigorous level of growth. It is most useful in densely populated aquariums requiring a continuous supply of strontium. Reef Advantage Strontium™ is a highly concentrated (30,000 ppm), ionically balanced strontium supplement. BEGINNER: Use 8 g (1 level teaspoon) per 150 L (40 US gallons) twice a week. May be added directly to aquarium. For precise dosing, use the Seachem Digital Spoon Scale. ADVANCED: Check magnesium level, then follow addition regimen above until magnesium is adjusted to 1,200–1,350 mg/L. Each 5 g/80 L will raise magnesium by about 5 mg/L. Amount or frequency can be adjusted, but do not exceed 25 g/80 L per day. Thereafter, use as required to maintain magnesium. EXPERT: After determining the strontium depletion rate, set up a continuous drip system. Use the following formula to determine how much to add to your top-off water: m=vs/30 (m=grams to add to top off water, v=volume of tank in liters, s=amount to raise strontium in mg/L). 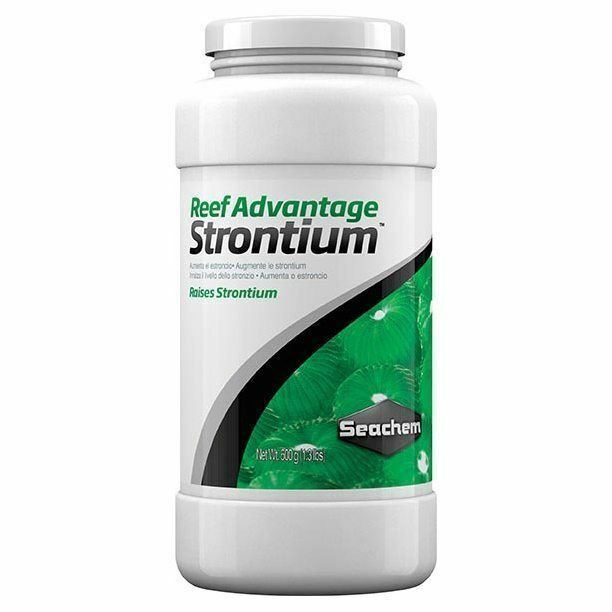 For example, if you want to raise strontium by 6 mg/L in a 200 L aquarium, then you would add (200×6)/30=40 g into the top-off water. [For reference: 1 gallon = 3.8 liters]. 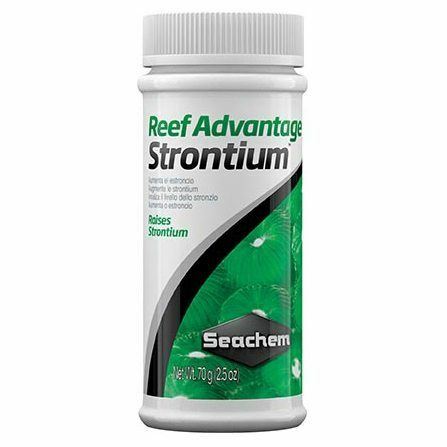 Use the Reef Status™: Strontium test kit to check strontium levels.